Contractors are now onsite for the new £13.5m sports and swimming complex in Blackburn town centre which will replace the ageing Waves Water Fun Centre. The joint project between Blackburn with Darwen Council and Blackburn College will provide swimming pools, a fitness suite, a dance/aerobics studio, sauna and steam room and two sports halls. 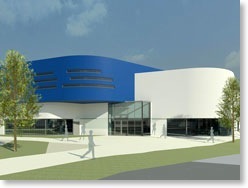 The sports halls will be ready for September 2014 with the new swimming pools opening in Spring 2015. FT Leisure has been appointed to design, supply, install and commission the water treatment and filtration systems for the new swimming pools – a 25 metre 6-lane main pool and separate learner pool. Each pool has a dedicated system which is based on the traditional medium rate sand filtration with disinfection, pH correction and sterilisation in the form of UV. The learner pool contains a full moveable floor system combined with FT Leisure’s self-depositing step system. 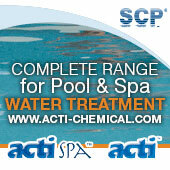 This system provides a dignified means of access at all depths for bathers with partial mobility impairment. There will be a splash area adjacent to the learner pool with a number of water and air features including some which are being transferred from the nearby Waves Water Fun Centre. 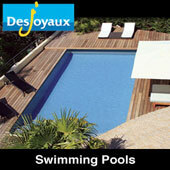 There will also be two GRP tubular flumes complete with aqua-catches on the pool surround. The flumes will be supplemented with a number of exciting and innovative features to enhance the rider’s experience. The flumes are being manufactured by Van Egdom. The main contractor for the project is Eric Wright Construction with whom FT Leisure also worked on the successful Bolton One Leisure Centre.